You can see him as Janet Leigh’s boyfriend in Psycho. He was crowned with laurels as Julius Caesar in Spartacus and self-deprecating on horseback in the 1964 TV series Destry. Without an ounce of braggadocio, John Gavin always lunged into the action with an arm around his leading lady. John Gavin, ’52, born Juan Apablasa into an old Los Angeles family in 1931, died February 9 at his home in Beverly Hills, Calif. He was 86. His father’s family owned land in colonial California; his mother was a Mexican aristocrat. His parents divorced and he took the surname of his stepfather, Herald Golenor; at Stanford, he was known as Jack Golenor. In Hollywood, his name underwent another change. 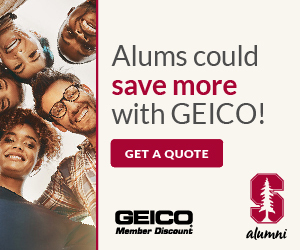 He came to Stanford on a U.S. Navy scholarship, played football and did only a modicum of acting, graduating with a degree in economics and Latin American affairs. After three years in the Korean War, he took a screen test and joined Universal Studios. Director Douglas Sirk cast him in the leading role of a Nazi soldier returning from the front in A Time to Love and a Time to Die. The following year, he starred in Sirk’s remake of Imitation of Life opposite Lana Turner. In 1967, he used his fine baritone to good effect in George Roy Hill’s Thoroughly Modern Millie, with Julie Andrews. Gavin was already casting around to make use of his quick wit and his skills as a public speaker. Fluent in Spanish, he worked in the 1960s as an adviser to two directors of the Organization of American States. He joined the board of the Screen Actors Guild in 1965 and, as its president from 1971 to ’73, defused what might have become an unpleasant scene between Jane Fonda and a gathering of fellow actors who opposed her stance on the war in Vietnam. 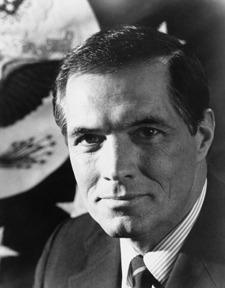 In 1981, after having worked on his friend Ronald Reagan’s presidential campaign, Gavin was appointed U.S. ambassador to Mexico. The five-year appointment during the Reagan administration had its contentious moments. Mexicans had just seen Gavin in an advertising campaign promoting Bacardi rum. He was dismissed as merely an actor (a slight that did not sway President Reagan). Meanwhile, his second wife, Constance Towers, was juggling her acting duties in Los Angeles and her role as embassy hostess. At a time of revolutionary upheaval in Central America, Washington’s interests were not in step with those of the Mexican political elite. Gavin struggled with the intractable questions of arms, drugs and immigrants flowing through Central America but had considerable success negotiating commercial deals with Mexico, the United States’ third-largest trading partner. He became president of Univisa Satellite Communications in 1987. Gavin is survived by his wife of 43 years; his two daughters, Cristina, ’83, and Maria, ’87, from his first marriage, to the actress Cicely Evans, ’52; his two stepchildren; and several grandchildren.